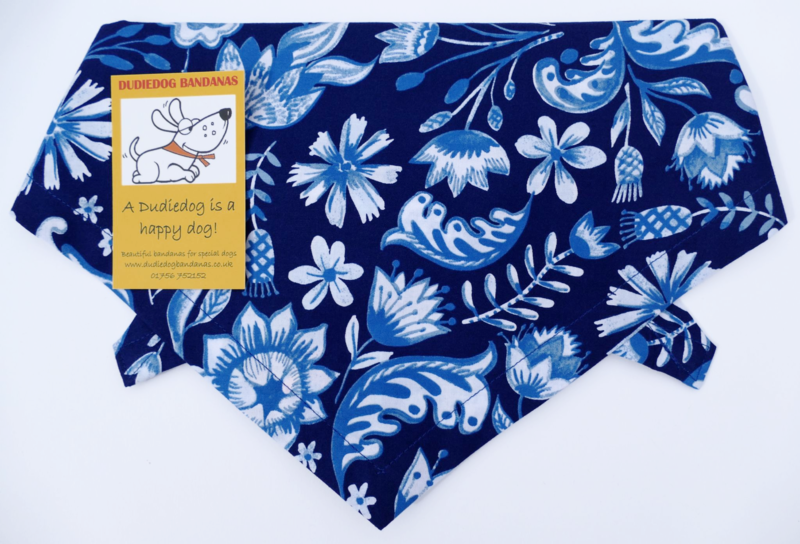 This stunning blue floral puppy/dog bandana has a gorgeous print, reminiscent of old blue china plates! 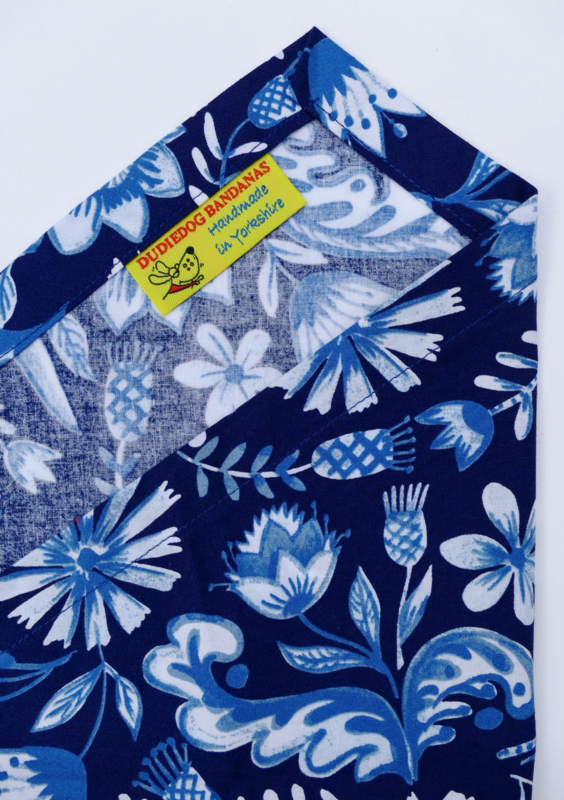 This is a beautiful bandana from our premium range, made from a high quality, fine designer cotton. It's perfect for the fashion conscious, fun loving dog about town! (or country!!). Your dog will certainly stand out from the crowd.